I am in Philadelphia right now attending the Mobile Monday Mobile Health Forum that has attracted over 300 clinicians, entrepreneurs, and mobile health professionals. 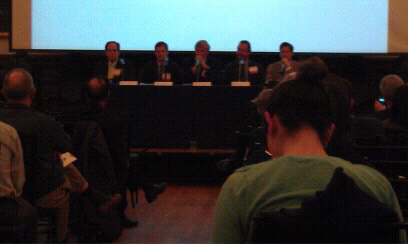 During the panel discussion today, the business panel spoke about mHealth sectors that are growing. It was inspiring to listen to these mobile health stories. Do you have a passion for mobile health? Find your local Mobile Monday chapter and get involved.